Anyone else look at it? I'm pretty excited for Zen 2. I was tempering my expectations, but seeing the engineering sample roughly match a 9900k but with lower power draw was nothing short of astonishing! Even if the Cinebench was aided by AMD's superior SMT implementation, it would still appear to be a significant gain. Radeon VII... It's 7nm Vega. A higher power GPU to at least pretend they are in that market right now. 16GB of VRAM does have some uses though. Updates to the mobile lineup were expected and its nice seeing the Zen+ improvements make their way to mobile. It was kind of wierd that they were so secretive about the Ryzen zen 2 specs. Basically said 'Its Zen 2, and here is a short demo.' I was quite underwhelmed actually. They almost made it sound as if there is still a quite a bit of time before launch, especially with how she said 'early engineering sample'. I stll won't buy a $700+ GPU from any company, so Raedeon VII didn't have much importance to me. So, I basically wasted an hour of my life to see a 5 minute 'demo'. AMD taking resposibility for their mobile driver support took its sweet time but good to see, hopefully it extends to desktop as well and both APU users get better then quarterly updates. Vega VII is a cut down overclocked Instinct accelerator that launched last year. So it really wasn't engineered for gamers as they push more of a reengineering of a non-gaming focused design. The gaming performance was also somewhat disappointing after digging around and not much higher then a 2700X+Vega 64 in Forza@1080p. I also have a feeling from looking at their reference design they never fixed the Vega thermal issues if they are reverting to a triple fan with a massive heatsink underneath which doesn't bode well for the power draw either. Zen 2 needs verifiable benchmarks since we don't know if it was overclocked or not, but giving the design is supposed to be focused at lowering power draw what they were showing is still rather high in Cinebench compared to current models and add they were evasive about clock speeds for the Ryzen looks odd. I think that's clever if they're marking it as VII, both as Vega II and the fact that it's 7 in roman numerals! Haven’t seen the keynote yet, but I am definitely excited. Mobile refresh with AMD now handling drivers for mobile products. Edit: They pushed the RX 590 again as a great 1080p product. They are relaunching the Vega data center GPU cut down and overclocked as a gaming model with a triple fan cooler. 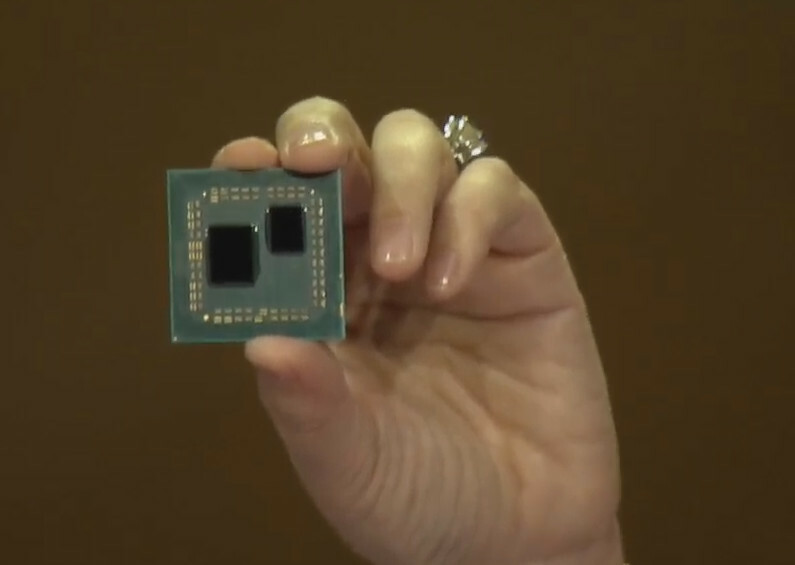 Ryzen 2 is launching sometime this year and is most likely going to be a 8-core/16-thread CPU if the delidded demo is a production sample as although there is space for another chiplet there is no data fabric connections for the chiplet. They pulled a hidden PC demo that was supposed to be a 9900K@stock versus the Ryzen 2 demo at unspecified clock speeds that did well in cinebench but pulled 133w or so to do that. And a gaming demo of Forza@1080p at 100fps+ which giving its a Vega based GPU isn't terribly wowing. And ended with a cryptic mentions of Navi Zen 2/3/4/5 being used together in new unseen ways. Whoever the new marketing lead is needs to be replaced, they didn't have the hands on demo like they ran with Polaris/Ryzen/Vega, and they didn't show the system off like they have been doing in the past. I agree way overpaying for another overclocked 480 that's been pushed a little harder. Sad to see them pushing two year old hardware in the same performance bracket for more then either of the last two generations launched at. Well, that crushed the excitement. I guess I’ll wait until summer for more AMD news. Things went downhill fast after them pushing the VII as a 4k max settings only to demo at 1080p. I only glossed over the highlights after that. Lol, they must have gotten a real genius hired into their marketing team. I don't know what you mean by this. SMT in concept and implementation is very very similar to Hyperthreading. Anyway I did see the Keynote and I am more excited about the Radeon 7. Even though it has a stupid name because there already was an R7 series which literally stood for Radeon 7. But if you ignore that it looks to be around the performance of a 2080 or 1080ti(I take this with a grain of salt because of course). And if it can actually keep the $700 msrp then it will provide some competition to nVidia. Of course it is lacking the ability to do RTRT but with only one or two games on the market that actually supports it, I don't think it will matter to most gamers. Plus the game bundles make it a good value. I believe what is meant by this, is that AMD's architecture is a bit more parallel at the instruction level, which often makes it harder to saturate with a single thread per core, and as a consequence gets more performance uplift from SMT than Intel does. This can be misinterpreted as "superior SMT" pretty easily, because we see more uplift. Obviously that's bad logic because the amount of uplift isn't what matters, what matters is achieving the highest possible execution throughput to the widest range of workloads. Bulldozer has way better uplift with CMT than either SMT or Hyperthreaded implementations. Doesn't make it any good. Oof. Good point. Superior is a bad choice of words. You got my meaning though. A fair number of people I've seen are saying that the Ryzen sample shown must be equal in singlethreaded performance to the 9900k since it received a similar score with same number of threads, but that's likely not the case. Still points to significant improvement over Zen+ though. well, games sell for around $60 each at launch. I'm super disappointed. Where is the 2060 competitor? You mean the Vega 56? A GPU that is already out and has been out for a while. One that is about equal to the 1070ti which nVidia said the 2060 will slightly better than. And that is likely marketing speak for "It is equal most of the time but in a few cases it has a few extra FPS." Not too mention that AMD has been bundling games with their GPUs for months making them a better value. I’m excited. If an early emhineering sample beats 9900k without refining and higher clocks there is no reason for previous intel users to not to go AMD. 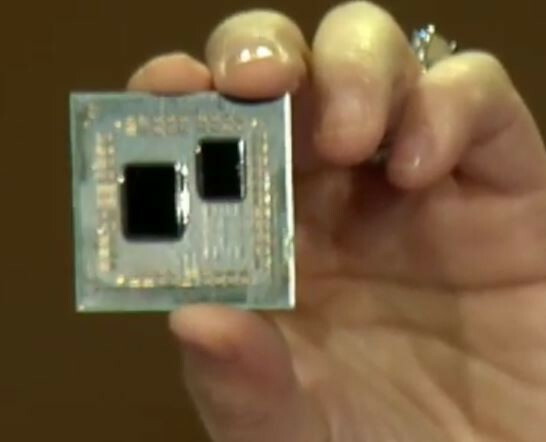 Also check out the die size, they fit another 7 nm package on it, for a 16 core like we thought or an 8 core APU. GPU wise nvidia is still destroying the market, and unless a 2060 competitor comes around soon AMD stands no chance there. Well the Radeon 7 was directed by Mike Rayfield, who retired recently and tended to make some expensive suggestions for amd gpus. Depending how far he got with 7nm with Vega, it could be either the last Vega gpu made by his command or an entire lineup for this year. We have to wait until we get more information about their future gpus. That hasn't been confirmed since the one photo Techpowerup is showing may have been doctored. Even if it isn't the scaling would be terrible between the already limiting dual channel memory interface, and the current 8-core was already pulling over 130w and doubling the core count would have some major power and thermal implications. So grain of salt if not a few million on more cores. Well it is an early test chip. So like with any prototype model the wattage will likely be a bit lower on the actual thing. I think the main point of the test was to show that for the same performance AMD can do it at a lower wattage. But I do think this test somewhat validates a rumor that IF there are higher core count CPUs for 3rd gen Ryzen they will need motherboards with 2 8pin power connectors. I personally do not expect a 16 core chip on Zen 2. If AMD does decide to release higher core count CPUs as Lisa Su implied than I think 12 cores will be the max. Well it is an early test chip. So like with any prototype model the wattage will likely be a bit lower on the actual thing. AMD said that it was early production but that makes little sense since they have been sampling EPYC using the same parts as production ready samples for months now. The power draw isn't going to be the problem none of the current generations were designed for disipating the heat output at that kind of power draw with stock speeds let alone overclocking. Problem is there is only one chiplet so its 8 or 16 cores as a max and they already confirmed these are DOA for further development as they are moving on to Zen 3/4/5 and Navi. True. If they decide to release higher core coubt chips they will need to do something about cooling. Correct me if I am wrong but I do not recall AMD stating that the Zen 2 Ryzen CPUs will only have 1 CCX. I mean in the interview with her after when specifically talking about the CPU they showed she did say "There is some extra room on that package and I think you might expect we will have more than eight cores.” While this doesn't confirm more than 8 cores it also does not deny it either. There are lots of questions about Zen 2 right now and only AMD has the answers. Best to wait and see. And if you look at what she answered with all it was is echoing their expectations without answering anything. Don't forget that Threadripper is also considered part of Ryzen by AMD and that is what she may have been referencing. She confirmed nothing it's all hype especially with her flat out stating on stage they were working on combination chips. As I stated above take it with a grain of salt.